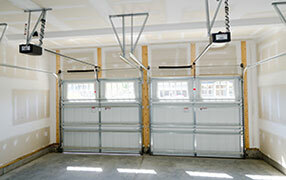 Do you have questions about garage door parts and systems? Here you will find the answers. Can I paint steel garage doors? Of course. There’s no stopping the homeowner from painting their steel garage doors. However, keep in mind that depending on the manufacturer, the door may have its own specifications which need to be followed. Regardless, high quality Alkalyd latex exterior paint is often a good choice. When replacing my door’s sections, do I have to use the new track and springs as well? 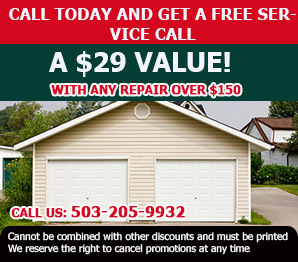 Garage Door Repair Clackamas says yes, you have to use the track and springs that come with your new sections. This helps you avoid any installation problems and removes the risk of injury or damage. What door should I use for a small swing space? 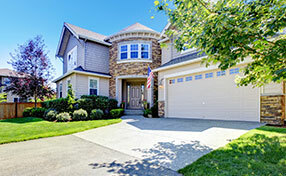 Our experts recommend the carriage-house style garage doors for tight spaces where you do not really have the space for a good swing when opening and closing. Because these types of structures move up and down rather than sideways, you are safe. Of course they look fabulous when installed properly. Where can I locate the garage door cables? The cables are found on the sides of the door. They pass through pulleys and wind around a cable drum as the door opens. They need to be maintained regularly because if that does not happen, they may cause door malfunctioning and possible disastrous events. Our technicians can help maintain cables to keep them efficient.